COPELAND Borough Council has pledged to make the most of the opportunities that could come from the Lake District gaining World Heritage Site (WHS) status. Two thirds of the borough lies within the National Park, and at the end of July UNESCO will announce whether the bid has been successful. It could generate millions in tourism income and create socio-economic growth across Copeland. 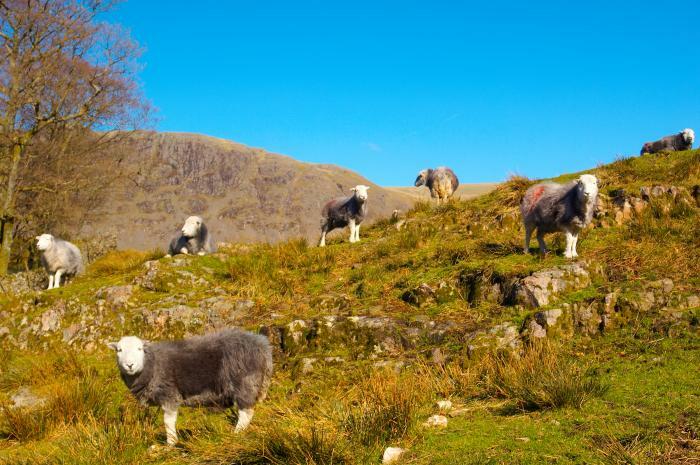 Copeland Council is a member of the Lake District National Park Partnership, which collectively has agreed to use the WHS status as a marketing tool to increase visitor numbers and stimulate economic development. At last night's Full Council meeting Copeland also agreed that the council's policies should take account of and deliberately maximise all the opportunities presented by the status. Mayor Mike Starkie said: "This is a once in a lifetime opportunity and as a borough we cannot wait to make the most of it. In other places, where it has been fully maximised, the status has meant new development, increased funding, conservation benefits and even some regeneration. "We need to harness the benefits and ensure that as much tourism as possible is driven towards Copeland. "If we get it WHS status will help us spread the message far and wide: this is a place of exceptional beauty and cultural value, making it the perfect place to holiday, live, work and invest." The Lake District, if successful, would receive the WHS title for its cultural heritage value. This would place it alongside unique places including the Taj Mahal, the Tower of London and the Great Barrier Reef. World Heritage Sites can be landscapes, places or buildings, which are seen as an irreplaceable source of life and inspiration which must be passed on to future generations. FARMING: The farming community could enjoy increased recognition of the cultural role of farming and its integral role in the landscape. FUNDING: Government has pledged resources to protect World Heritage Sites. The status could attract more funding and investment into the Lake District. BUSINESS GROWTH: Just a one per cent switch to cultural visitors (who spend more on accommodation, leisure, food and drink,) could boost the Cumbrian economy by about £20m a year. GLOBAL BRANDING: the area could become an international brand on the 'A-list' of places to visit. CIVIC PRIDE: It may increase residents' pride in their area and inspire them to take good care of it. RECRUITMENT: The World Heritage brand will have an international profile, helping to attract, recruit and retain talent. NEW PRODUCTS AND SERVICES: The designation could be a catalyst for WHS-related products and services. UNESCO will announce the result of the bid on July 31.